How To Buy Cloud | Don't Know Where to Start? The cloud provides rapid access to flexible and low-cost IT resources, and with the AWS Cloud, public sector institutions no longer need to make large upfront investments in hardware or spend a lot of time and money on the heavy lifting. AWS offers compute, storage, database, analytics, application, and deployment services that help government, education, and nonprofits move faster, lower IT costs, and scale applications. In this walkthrough, we will cover topics that are important to consider, which include justifying your move to AWS, operational and cultural implications, purchasing strategies, architectural considerations, and further improvements to enable innovation and save costs down the line. Buying cloud computing services takes different skills and strategies than those required for buying traditional IT. Are you ready to move to the cloud but looking for practical guidance? Not sure where to start? We're here to help you select the right acquisition approach. We invite you to review our How to Buy Guide. Note that AWS specialists are available to meet with you to talk through procurement requirements for cloud services. The path to the cloud is a journey that varies across the public sector. Fortunately, AWS has helped a multitude of customers achieve their goals at every stage of the journey. While every path will be unique, there are common patterns, approaches, and best practices that can be implemented to streamline the process. What's the best way to get started on my cloud journey? When should I involve my key stakeholders? What is the easiest way to understand the costs? A clear understanding of your current costs is an important first step. This provides the baseline for defining the migration model that delivers optimal cost efficiency. How do I compare the cost of cloud with my existing technology infrastructure? These are two very different models. With the cloud, you can avoid costly upfront investments and instead pay only for the services you consume. It is important to take everything into consideration when understanding the costs. Your existing technology infrastructure may require upfront costs (think: operating expenses vs. capital expenditures); overhead from real estate, power, and cooling; and human resources for monitoring and maintaining equipment. 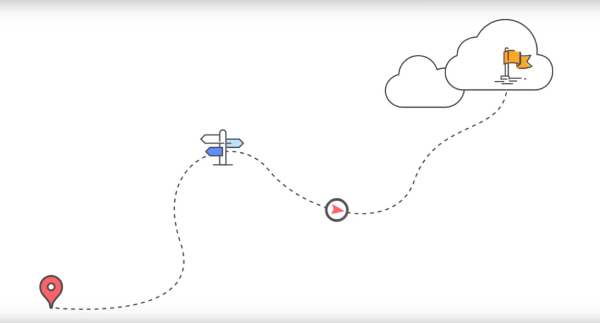 What is the fastest path to cloud adoption? Making a Direct Purchase from AWS: (AWS Terms and Conditions would govern the sale.) Open an AWS account to begin using our services. AWS specialists are available to meet with you to talk through your procurement requirements for cloud services. You can take the first step by viewing to the "How to Buy Cloud Computing Services for Your Agency" webinar. Please also visit the AWS Public Sector Contract Center. How do I get started with writing my requirements or an RFP? When writing your requirements, do not be overly prescriptive. Instead, focus on desired outcomes. It is important to use flexible, evergreen language so that the contract is still current by the time it is approved. Successful cloud procurement strategies focus on functional and overall performance-based requirements. Avoid dictating the specific methods, hardware, equipment, or part numbers needed. Encourage vendors to recommend alternatives to deliver and/or improve the required services and outcomes you seek. Can I use a contract vehicle? Do I need a partner? If so, how do I find one that is a good fit? The AWS Partner Network is a robust and comprehensive global partner program designed to help you grow and succeed. Having the right mix of business, consulting, and technology support in place makes it easier to purchase, deploy, adopt, and migrate workloads to the cloud. How do I pay for cloud computing?